Roof moss not only looks bad, but if left untreated it can void warranties, insurance policies and result in costly roof repairs. Using just water, we can revive your driveway, brighten your siding or get rid of that slippery moss plaguing your walkways. A Glass surface can deteriorate if left unmaintained. Get streak-free, shiney windows to let all the light into your life. Dirty gutters can cause many issues from water damage to clogged perimeter drains that can be expensive to repair. 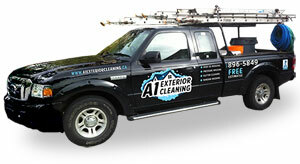 Proudly serving the Greater Victoria Region, from Langford to Sidney, since 2011.